Welcome back to Teaser Tuesday hosted by Should Be Reading and First Chapter, First Paragraph hosted by Bibliophile By The Sea. 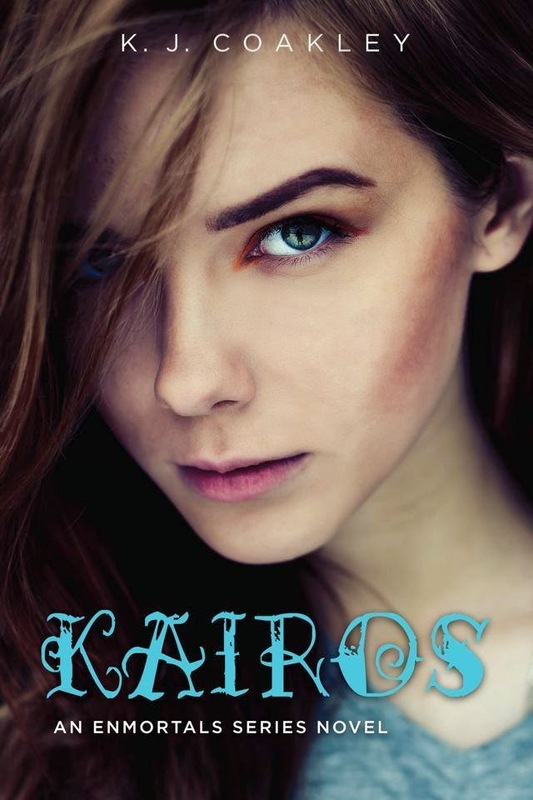 This week I'm reading Kairos, a paranormal romance by K.J. Coakley. I'm almost done with this and the review will be up soon. Ever wonder what your life would be like if something monumental happened and changed the course of your future? Well, I used to fantasize about that until one day it did happen. The big it, the larger-than-life moment—and that was when my life completely changed. Nothing would ever be the same again, the simplicity of life and enjoyment that comes with living in the moment. Ah…I used to savor life like it was my favorite Popsicle. What do you think? Would you read on? Leave me a comment and thank you for your patience as I return your blog visit. Sorry, this isn't a me kind of book- hope u like it though. Wow, I really could feel her words. She's found the missing link, what a good feeling. Ooh this sounds really good! I'm usually not very big on paranormal, but I love the Teaser! It's great to have a female character so passionate about what's she's doing rather than whom! Thanks for sharing :) Hope you have a great week! My favorite kind of romances are the kind that have a strong fantasy/paranormal element. This sounds like it would be good. I hope you are enjoying it. Not sure if I would read it, but it does sound fun and exciting for the right audience--enjoy it! I'd keep reading for sure! Thanks for sharing! Here's my Teaser Tuesday! From the opening, it's hard to tell if the "something monumental" was a good thing or a bad thing! Although I'm not much into paranormal, I'd keep reading to find out more. The opener is great, I would want to know what that life-changing moment is. Sounds more than a little melodramatic. I'd have to see some very good reviews before I gave it a try. My teasers are from Shield of Winter by Nalini Singh and Midnight Thief by Livia Blackburne. Happy reading! I'm not sure if this would be for me. The opening is good though, so I would read more. Enjoy! Hmm, the opening lines and teaser piqued my interest....but this one doesn't sound like my cup of tea. Thanks for sharing and for visiting my blog. It sounds like it could be good.